In one of the largest studies to date, researchers studied blood samples collected from 700 pregnant women who later developed preeclampsia in an effort to examine a woman's vitamin D status during pregnancy and her risk of developing preeclampsia. The full study, funded by the National Institutes of Health (http://www.nih.gov/) (NIH), is available online in the journal Epidemiology (http://journals.lww.com/epidem/Pages/default.aspx), and will publish in the March print issue. 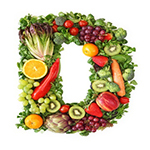 "For decades, vitamin D was known as a nutrient that was important only for bone health," said lead author Lisa Bodnar, Ph.D., M.P.H., R.D. (http://www.upmc.com/media/experts/Pages/lisa-bodnar.aspx), associate professor in Pitt Public Health's Department of Epidemiology. "Over the past 10 to 15 years, scientists have learned that vitamin D has diverse functions in the body beyond maintaining the skeleton, including actions that may be important for maintaining a healthy pregnancy." Dr. Bodnar and her colleagues also studied blood samples from 3,000 mothers who did not develop preeclampsia. The samples were collected between 1959 and 1965 at 12 U.S. sites enrolled in the Collaborative Perinatal Project. The blood was well-preserved, and researchers were able to test for vitamin D levels decades later. Scientists controlled for factors that could have affected a woman's vitamin D status, including race, pre-pregnancy body mass index, number of previous pregnancies, smoking, diet, physical activity and sunlight exposure, which is the body's primary source of vitamin D.
"Scientists believe that severe preeclampsia and mild preeclampsia have different root causes," said senior author Mark A. Klebanoff, M.D., M.P.H., Center for Perinatal Research at The Research Institute at Nationwide Children's Hospital (http://www.nationwidechildrens.org/center-for-perinatal-research) and the Department of Pediatrics at The Ohio State University College of Medicine (http://medicine.osu.edu/Pages/default.aspx). "Severe preeclampsia poses much higher health risks to the mother and child, so linking it with a factor that we can easily treat, like vitamin D deficiency, holds great potential." "If our results hold true in a modern sample of pregnant women, then further exploring the role of vitamin D in reducing the risk of preeclampsia would be warranted," said Dr. Bodnar.